To say I didn’t mind Taylor Swift might be a bit of an understatement. For my birthday last year, the boys hung that picture in the office. 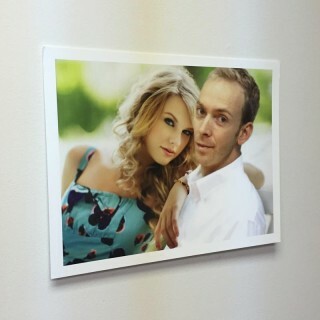 I wasn’t really aware that I liked Taylor Swift any more than the average 34-year-old father of four until they hung this picture in the office, but one must try to be objective when attempting to better understand oneself. If your loved ones say it’s so, it’s probably so. Anyway, I just wanted to state my biases before getting on to the gist of this post, because my biases are actually going to make my case stronger. The case I want to make is that radio is totally rigged. It’s orchestrated by Suge Knight and guys in suits, and like all business, it’s about maximizing revenues. Of course there’s payola, which is supposedly illegal, but that doesn’t seem to be stopping Taylor Swift’s promoters. I don’t have any proof, though I’m sure there’s plenty of that. I have something even better: an anecdote. Remember when Shake It Off, a fairly mediocre song by Taylor Swift, blanketed the airwaves prior to the release of her latest album, 1989? It perched at the top of the Billboard Hot 100, jockeying for the number one position with All About That Bass for months. Then all of a sudden, Blank Space, possibly the best Taylor Swift song ever written, flew in from nowhere, bumping both of them in late November. It took over six weeks before Uptown Funk! was able to do anything about it! Nowadays, all we hear is Style, even though it has totally lame lyrics and hasn’t come close to topping a chart. What’s super fishy is that these songs are all from the same album, which means we and the radio biz have essentially had equal access to them since 1989‘s release on October 27, 2014. So, what? Nobody bothered listening to Blank Space for the entire first month they had it? Granted, Shake It Off was released as a single a month-and-a-half prior to the album coming out, but how did it still take a solid four weeks from its release before anyone figured out that Blank Space was way better? And now that I’ve heard Blank Space hundreds, if not thousands of times, I’d still rather hear it again than Style. And if that’s my preference, I’m sure it’s the preference of literally everyone else listening to teeny pop. Obviously there are some nefarious music execs sitting around a shiny, dark walnut conference table, twirling their mustaches and orchestrating what gets played when, for the purpose of keeping their cash cow (although it pains me to apply a cow metaphor to Taylor Swift) in the public eye–or ear–for as long as possible. Probably just to sell more concert tickets and lunchboxes, but still, they’re depriving us of our choices. No, wait. They’re depriving us of the knowledge that we even have choices. Which is why listening to radio is kowtowing to The Man, and everyone should use streaming services like Spotify and Pandora. Doomsayers are always griping about the media being controlled so the truth can’t get out to the people. “It’s just so corrupt anymore, I seriously fear for our society!” Seriously, I hear that all the time. Well, there was a time, not so long ago, when there were basically three TV networks. Talk about having an easy time controlling the message! Literally, just dig up some dirt on three white guys in suits and your secret couldn’t be safer in Fort Knox. Good luck trying to censor anything nowadays. You could allocate a trillion dollars to lawsuits alleging “slander” or “libel”, and a hundred bloggers will pick up on your hush attempt within seconds, and tell everyone about it. Literally everyone. Censoring truth in the 21st century is like trying to douse a fire with gasoline. Just like The Man used to want you to be afraid of pinkos, he wanted you to listen to Perry Como. So the newspapers portended bleak times at the hand of the rising pinkos, and the radio played Perry Como. Today, we have options. Through the power of the Internet, we can learn that pinkos are a fringe minority with an unsustainable business model and really nothing to be scared of, and that Perry Como is lame. We can learn that the Vietnamese are actually a lot like us, except that they don’t like cheese. Breaking from top-controlled radio and getting our media on demand the way we want it is the next step in a truly free and peaceful world. As with all things, technology will–eventually–so thoroughly liberate us from our myopic complacency that we’ll actually get to listen to what we want all day. In my case, Blank Space on repeat.